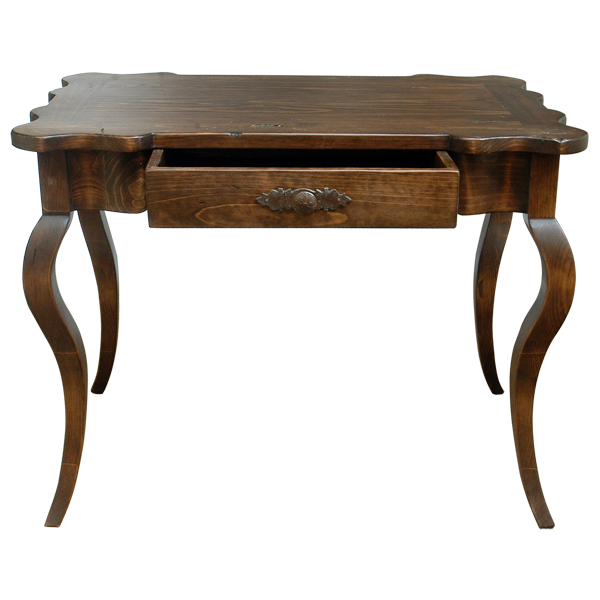 Add elegance to your home décor with the sophisticated design of this handcrafted desk. 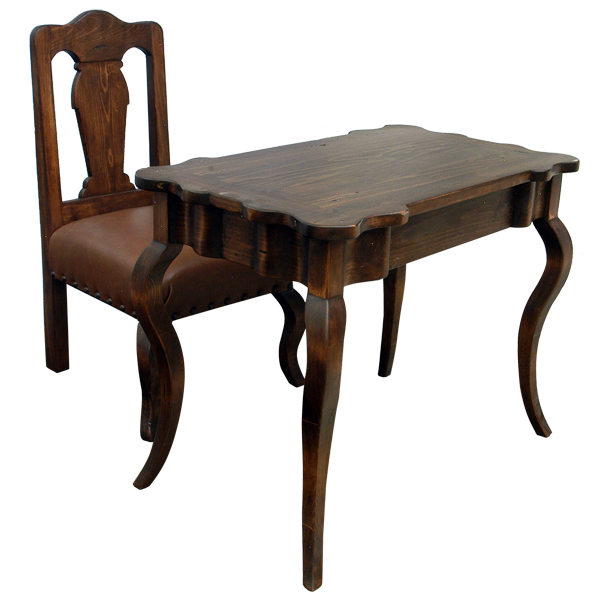 It is perfect for a writing desk, and we have a variety of different custom chairs that would be perfect to accompany the desk. The top of the desk has a lovely, curved, scalloped design. Below the top rim is a single, rectangular drawer, and the drawer has a silver finished, hand forged, iron, pull handle in its center. 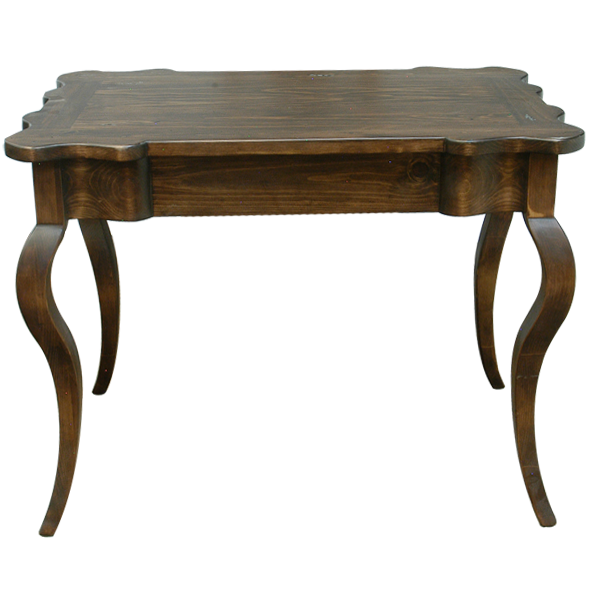 The desk rest on beautiful, curved, cabriole style legs, and it is made with the best, sustainable, solid wood available. It is 100% customizable.